In conjunction with the site owners other business Sunnier Climbs, How to Climb Harder is hitting the road this winter in an effort to get some winter hot rock climbing holidays in Spain. So if you want to experience some sunshine rather than the winter blues then join us on one of our Spanish Hot Rock Climbing Holidays. We have several bases for our winter Hot Rock Holidays. All of which we have thoroughly tested over the last few year and have been chosen because they have amazing climbing and great weather. 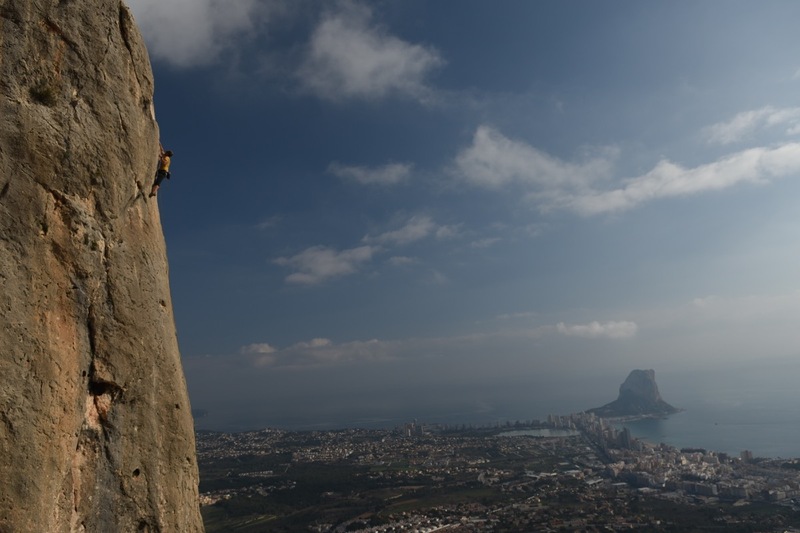 What’s included with the Hot Rock Climbing Holidays in Spain? Our courses are staffed by Mark Reeves the author of How To Climb Harder and highly experience climbing coach. The ratio is a max of 1 to 2. Meaning you will not only be guided around the best areas but get great coaching. All our courses include transport from as little as £800 for seven days. 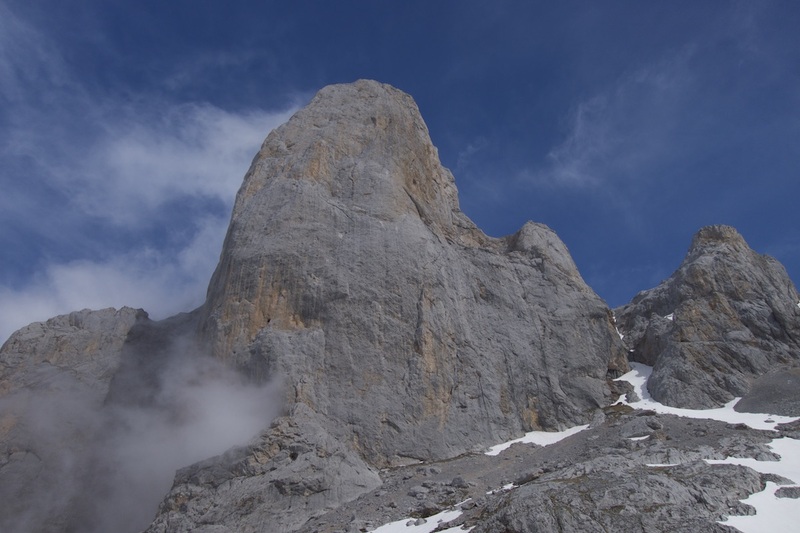 The North Face of Naranja Del Bulnes, one of the dos impressive peaks in Spain. With some of the most amazing routes from HS to E4+. This is a holiday with the emphasis on fun, enjoyment and above all living a little adventurously. We can cater for anybody from beginners right through to experience climbers looking beyond the coast blanca for a sun rock holiday. 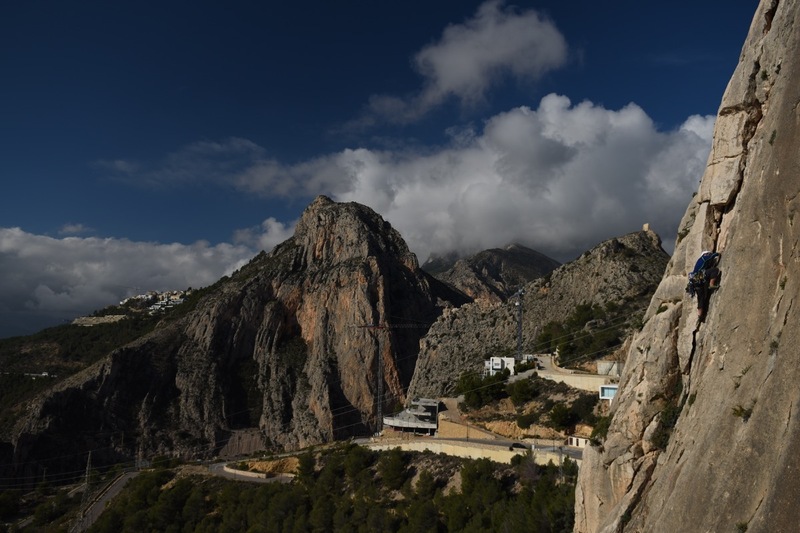 The climbing around Madrid is one of Spain’s hidden gems. With granite slab and crags resembling Yosemite’s Touloumne Meadows. As such it will be unlike any hot rock sport climbing holiday you have ever been on. Based out of the picturesque Miraflores on the edge of the region Park of Pedriza we have a wealth of different areas to climb on in the area. Three are based on the granite cliffs around Pedraza, Valdemanco and La Cabrara, which offer fantastic friction slabs, cracks and corners. From simple single pitch climbs to exciting multi-pitch routes to the summits of Granite Domes. An amazing Granite cornering La Pedriza, near Madrid. Truly the Touloumne Meadows of Europe. Just out of the mountains is La Patones, a pocketed limestone venue set in a picturesque valley with vertical climbing on often good but spaced holds. 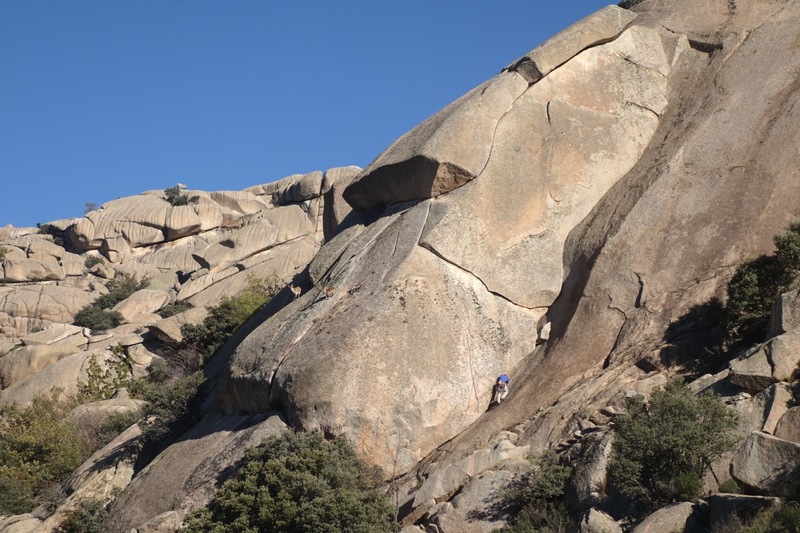 This variety means that we will get to experience a whole array of different climbing on both granite and limestone. If you want to find out more about the rock climbing then Mark Reeves has written a mini guide to Madrid for RockFax. Chodes was one of the first areas bolted in Spain for Sports Climbing. As such it makes a great place for a climbing holiday away from the crowds. A 5th and 6th-grade climbers paradise, Chodes and Calcenca offer a great variety of climbing in what are fair compact areas. Two hours east of Madrid just outside Zaragoza is the Morata del Jalon valley, where you find the amazing climbing area of Chodes. This offers highly technical climbing which will hone your technique and footwork. Amazing technical climbing in Chodes will help you hone your technique and make you a better climber. Where as a 30km drive up the road is Calcena, which has recently been redeveloped. So there are loads of fresh climb on a variety of different limestone type. Including some fun routes up small towers. There is literally something for everyone in Costa Blanca, and quite often all at the same crag. Another great place to get a tan whilst you climb. The Costa Blanca is one of the original winter hot rock destination, situated just north of Alicante the area is cheap to get to and has an amazing variety of classic sport climbing routes and destinations. This is the reason we have chosen to run our climbing courses from here over the winter as they will suit anyone from the F4/VDiff leader to someone trying to break through into the 7th grade. We are based around the sea side town of Calpe, which is nestled below the amazing Penon D’ifach. This is a great location from which to be based as it is close to the centre of the Northern region of the Costa Blanca best climbing. This allows us easy access Sella, Toix, Echo Valley, Alcalali, Olta, Gandia and Guadalest. 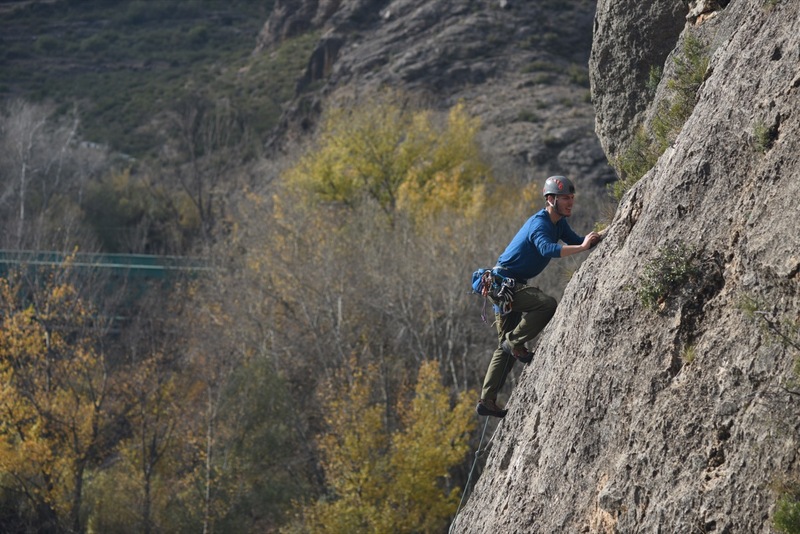 Click Here to find out more…about the Costa Blanca Hot Rock Climbing Holiday.